As we already introduced Shi-mi in our last week’s issue, there is more to Shi-mi that we will introduce this week. During Shi-mi, the extended family gathers to the family tomb to pray for the ancestors. As a part of the ceremony they eat traditional Okinawan foods at the open space in front of the tomb after first offering the food to the spirits of the ancestors. Then they burn “UCHIKABI” that represents money given to the ancestors during the religious obon and shi-mii ceremonies, and pray for one’s homestead. 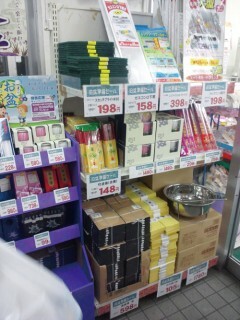 During the Shi-mi season, one can find a rather strange corner display at any supermarket on Okinawa, but that’s very important matter for all Okinawans.